Catastrophe bond spreads widened in late 2018 as certain insurance-linked securities (ILS) funds required liquidity, although this trend has somewhat reversed during the start of 2019, according to Swiss Re Capital Markets, a division of global reinsurer Swiss Re. Swiss Re’s Capital Markets team has released its latest ILS market update, which, alongside an overview of the final months of 2018, includes a section on ILS secondary markets. The global reinsurer notes a widening of cat bond spreads in late 2018 as some ILS funds required liquidity in December. The ongoing trapped collateral issue as well as persistent pressure on rates, in some instances resulted in fund redemptions which in turn saw a number of forced sellers in the market towards the end of the year, explained the reinsurer. Cat bond spreads had tightened somewhat in the second-quarter of 2018 with the weight of capital also pressuring rates to a point that multiples also declined slightly, a trend that largely persisted through the third-quarter, too. 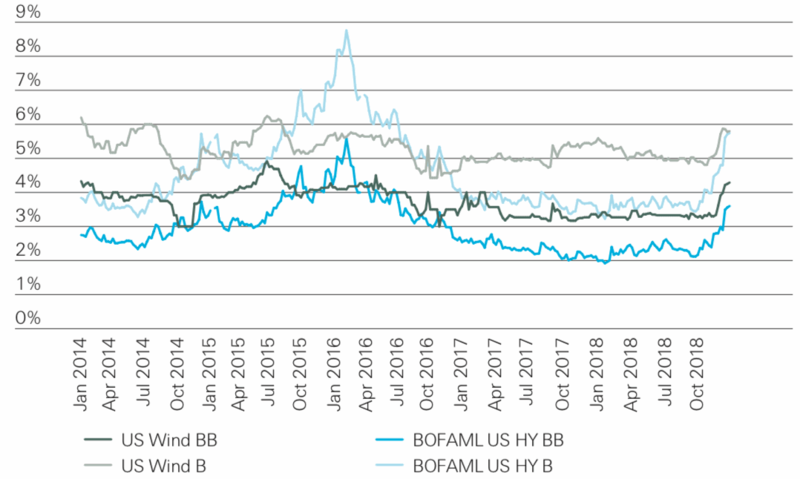 However, Swiss Re reports that from October 31st to December 14th, 2018, US Wind B-rated spreads widened for eight consecutive weeks, before retracting slightly in the last two weeks of the year. At the same time, and as shown by the chart below, provided by Swiss Re, US Wind BB spreads started to widen in mid-November through to year-end, actually hitting levels not experienced since the third-quarter of 2016. The widening spread trend has, according to the reinsurance giant, somewhat reversed at the start of 2019 with spreads tightening. Numerous cat bond transactions have matured so far this year, returning capital to investors and eliminating the need for forced sales at lower prices. Furthermore, and despite the impacts of two consecutive years of high catastrophe losses, new investors also entered the space in 2019. “The dynamic illustrates the liquidity available in the market and that investors can realize cash from cat bond positions in a short time frame, albeit it at slightly discounted levels,” says Swiss Re. Trading in the secondary market increased by 35% in the second-half of 2018 when compared with the previous year, with TRACE-reported trading volumes of over $1.1 billion recorded, across over 1,600 TRACE-reported trades. The final quarter of 2018 was particularly active says Swiss Re, with nearly $700 million traded across over 1,000 TRACE-reported trades. “The increase in trading this year was driven by many factors. Some investors have experienced struggles with redemptions, trapped capital, and raising new capital due to the negative effects of the events of the past two years and took to the secondary market to raise capital. 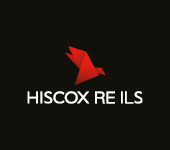 In doing so, investors not only offloaded short-dated notes, but longer-dated notes as well,” says Swiss Re.